High cholesterol – it’s a killer! That’s been the common medical opinion for about he last fifty years. As kids we were told to stop eating eggs, bacon and butter. Billions of dollar are spent every year on statins – drugs that inhibit the bodies ability to manufacture cholesterol. The life insurance industry fuels the drug industry by loading the premiums of members with high cholesterol. Yet, could the entire theory that high cholesterol causes heart disease be founded on faulty data? A study of Japanese men and women, published earlier this year, shows no causal link between high cholesterol and heart disease. Equally, the study shows no link between taking statins and reduced risk of heart disease. Could the belief that high cholesterol is linked to heart disease be based on faulty data or reporting bias? A series of documentaries aired on Australian television discuss this issue in more detail, and are worth watching if the subject interests you. In recent years numerous studies have been published showing how reporting bias can skew findings. For example, researchers may ignore findings that do not support their hypothesis, may exclude patients that show side effects at an early stage, or may simply assume a causal relationship when in fact none such exists. Spurious correlations are so common that there is even a book (and a website) devoted to the topic. Follow the link to see charts showing relationships between, for example: US Spending on Science and Suicides by Hanging, or, see hoe The Divorce Rate in Maine correlates with the Per Capita Consuption of Margerine. A Credit Suisse report entitled, Fat, the New Health Paradigm, found no causal link between high cholesterol levels and heart disease, or between the food that we eat and our cholesterol levels. High cholesterol (above 240mg/dl) (this is 6.2mmol/l) is only a marker of higher cardiovascular death for men. Please note that high cholesterol does not cause heart attacks, it is just a marker. 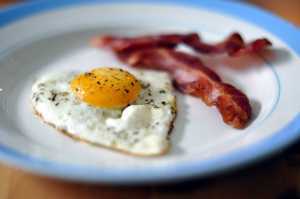 For all other illnesses, higher cholesterol levels pointed to lower death levels. Why? Because cholesterol helps support, or is a marker of, a better immune system. Of course, those arguing against the war on high cholesterol may also let bias sway their decision making. The bottom line, however, is that there seems to be considerable doubt over whether reducing cholesterol levels has a significant impact on life expectancy. More studies need to be done and unbiased conclusions drawn. Big data promises to enhance decision making – for applications ranging from understanding the customer buying journey, to channel optimization, fraud management, and many more. As companies begin to invest in big data they need to guard against poor data quality or reporting bias that may sway the results. ← Are you managing your assets as an asset?